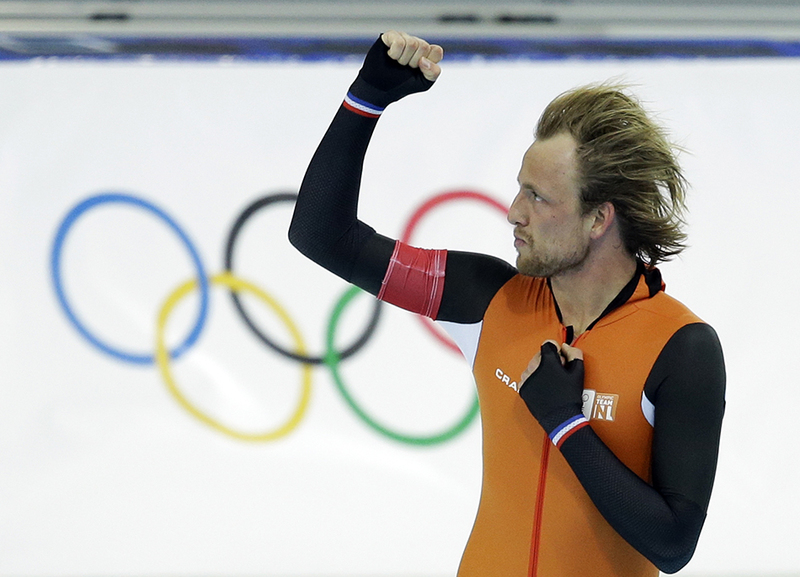 Michel Mulder took the gold medal in the men's 500 while his twin brother Ronald took the bronze. SOCHI, Russia — Michel Mulder led another Dutch sweep at the Olympic speedskating oval Monday, edging teammate Jan Smeekens by one-hundredth of a second, while Mulder’s twin brother Ronald got the bronze. It was the first gold medal ever in the men’s 500 for the speedskating-mad nation. Smeekens led after the first of two heats and initially thought he had earned a tie for the gold after he crossed the line. But the clock adjusted to the official time, giving Michel Mulder the gold with a total time of 1 minute, 9.31 seconds. The silver went to Smeekens in 1:09.32, while Ronald Mulder grabbed the bronze with the fastest run of the day, 34.49 in the second round to finish at 1:09.46. Defending Olympic champion Mo Tae-bum was fourth.